Dr. Eugene Roytman and Dr. Yuliya Morozova are husband and wife who make-up a dynamic team of professional dentists. They enjoy working together in a successful family dentistry practice: Allegro Dental. Both dentists are graduates of <?xml:namespace prefix = st1 ns = "urn:schemas-microsoft-com:office:smarttags" />University of Pennsylvania, School of Dental Medicine. Additionally, Dr. Roytman has completed a General Residency program in UCSF Dental School while Dr. Morozova is a United States Dental Institute Graduate. Dr. Roytman and Dr. Morozova are working extra hard to ensure that their patients receive the best care that they deserve. They work cooperatively at constantly updating their knowledge to keep up with the current dental developments. 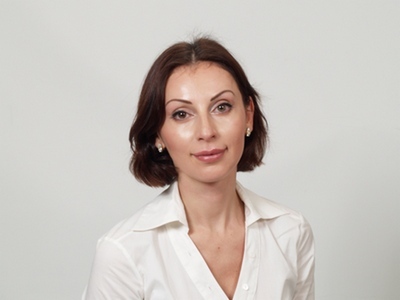 Even though both of the doctors have great experience in the broad field of general and cosmetic dentistry, Dr. Morozova additionally focuses her continuing education in traditional braces and Invisalign. Furthermore, Dr. Roytman polishes his professional skills in implant dentistry. Together, Dr. Eugene Roytman and Dr. Yuliya Morozova create a wonderful, friendly atmosphere for their patients and their families. Dr. Eugene Roytman and Dr. Yuliya Morozova currently reside in San Mateo. They have two little boys, David and Aaron.